On This Day 1919: Saturday Cricket defeat for Shoreham Camp Soldiers. The Worthing Cricket Club engaged in a thrilling contest with the soldiers from Shoreham Camp. 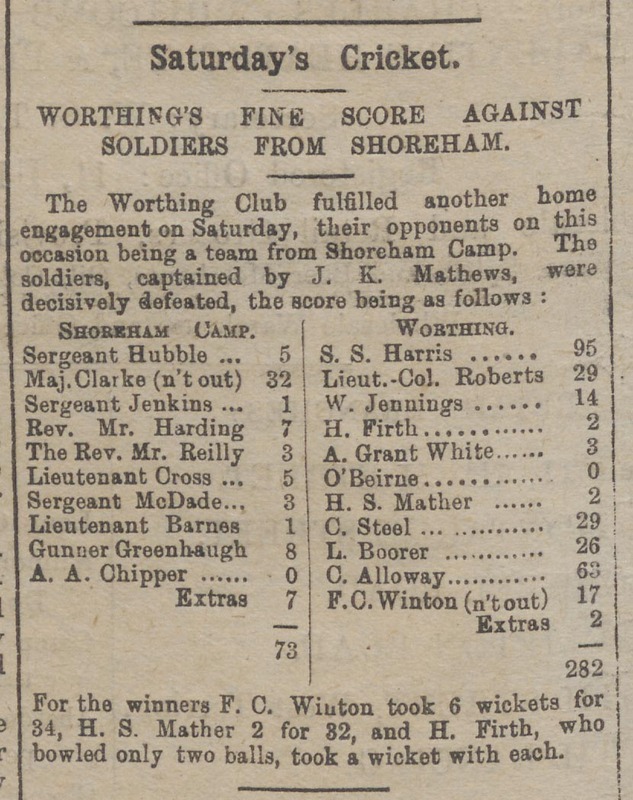 The Soldiers, captained by J. K. Matthews, were decisively defeated by the Worthing team with a final score of 282 to 73. 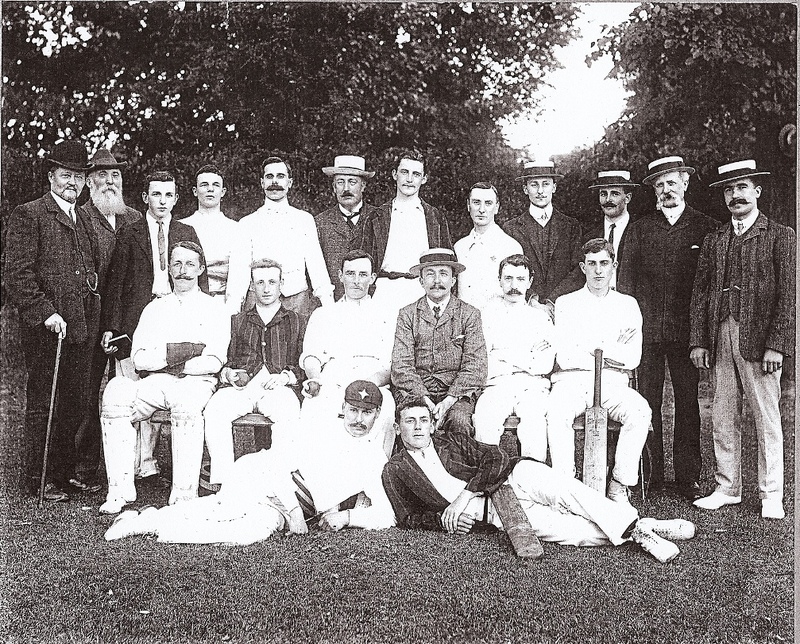 Photograph of Potter and Bailey’s local Worthing Cricket team (1904-1914) showing the type of kit that would have been used by the Worthing Cricket Club.